And then this happened, too! 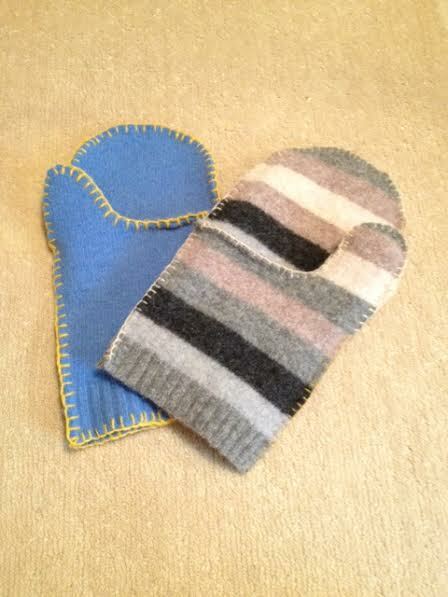 The striped pair has another pair inside. I made the inside pair from lightweight green cashmere so it’s really soft. I put on the green ones inside out and slipped my hands into the striped pair. The cuffs were the sweater hem. So far the blue ones are not lined. I used blanket stitch to do the whole thing- a perfect take along project! The fingerless mitts were an afterthought. They will fit my 5 year old grandie, Angelica. 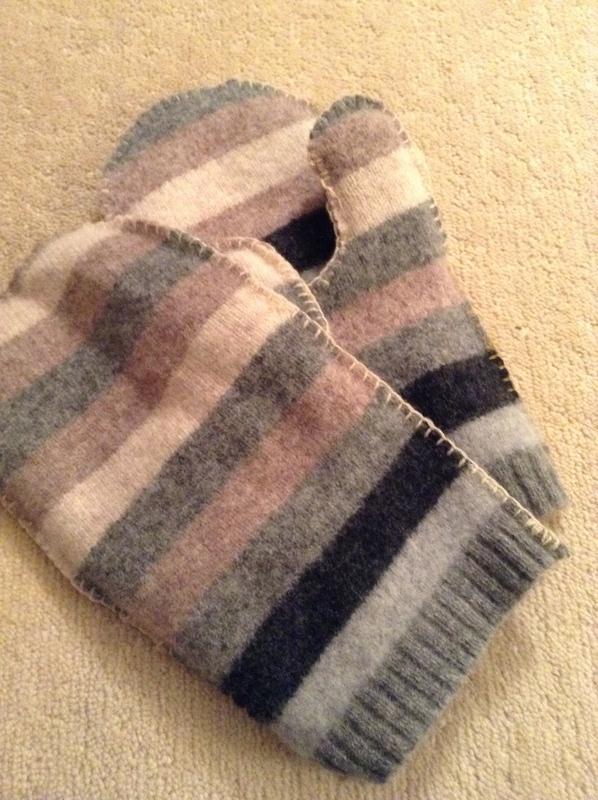 See the thumbholes cut into the arm seam and then blanket stitched? I used some pretty crocheted trim for embellishment. 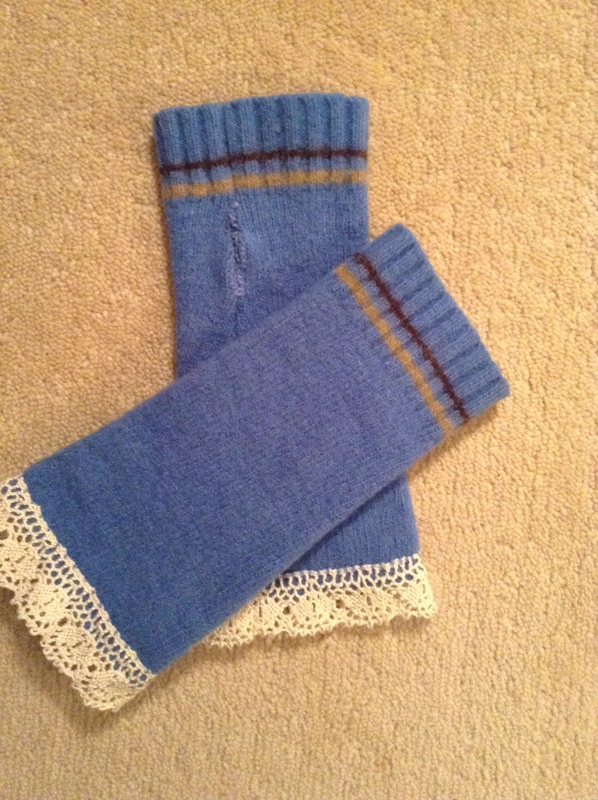 The sweater cuff is the end that will go over her fingers. I think I will be making a lot of these. 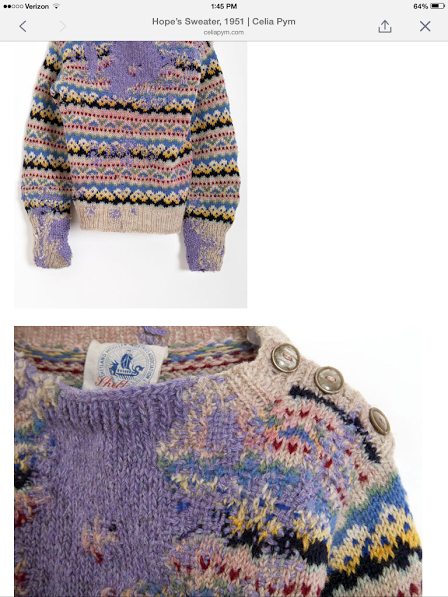 *For those who might not know, FULLED means knitted fabric that has been felted. 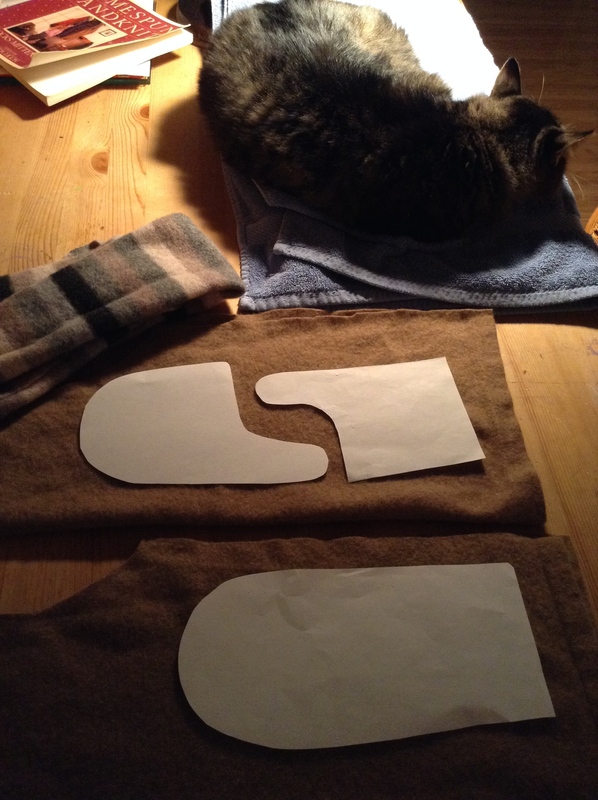 FELTED actually refers to loose fleece that is manipulated until it felts. This is a technical point and you can get away with calling fulled wool felted and no one will care except those of us who are a bit persnickety. 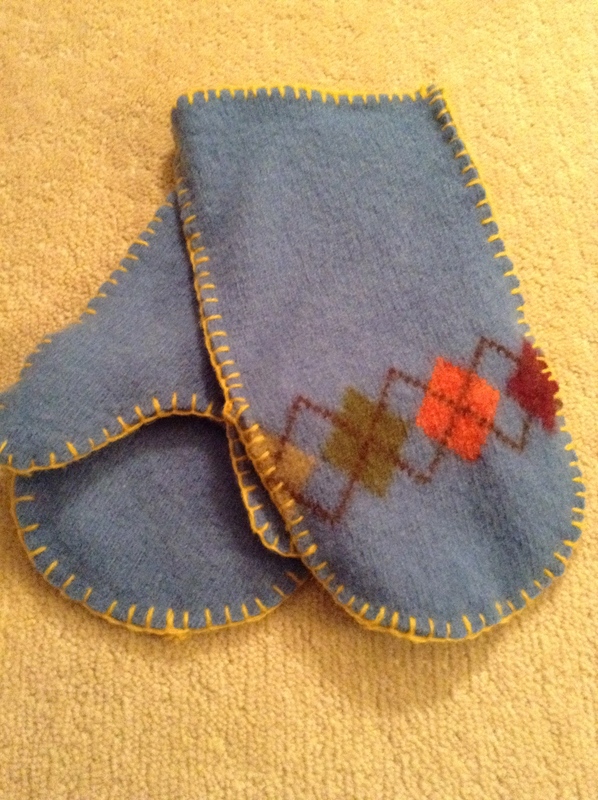 This entry was posted in Uncategorized and tagged blanket stitch, embroidery, felted, fingerless, fulled, kids, mittens, pattern, sweaters, take along project on October 22, 2014 by julesmeans. Antony Hegarty wore a shredded sweater in the Leonard Cohen documentary, “I’m Your Man”. He was singing “If It Be Your Will”. The sweater is horribly beautiful. Does that make sense to anyone else? I read today about an interesting class at a London’s Ray-Stitch haberdashery. I find this fascinating and by the way I have brazenly used this image without permission. You can find it on Celia’s website along with her other beautiful work. This entry was posted in Inspiration, Textiles, Uncategorized and tagged embroidery, knitting, mending, rogue textiles, sewing, sweaters, yarn on October 22, 2014 by julesmeans.